The Chevrolet Camaro has been red hot since it was reintroduced for the 2010 model year, and last month, the pony car celebrated a milestone that dates all the way back to 1967. General Motors built the five-millionth copy of the sporty coupe in May. In case you're keeping track, only 225,844 of those sales come from the current-generation model. The remaining 4,774,156 models arrived between 1967 and 2002. Typically, when an automaker builds a milestone vehicle, it is optioned to the gills and carries a massive suggested retail price. Not so for Camaro number five million. Instead, The General's Oshawa plant opted for a 1LS Coupe in black, with steel wheels, six-speed manual transmission and a 312-horsepower 3.6-liter V6. Want to know more? 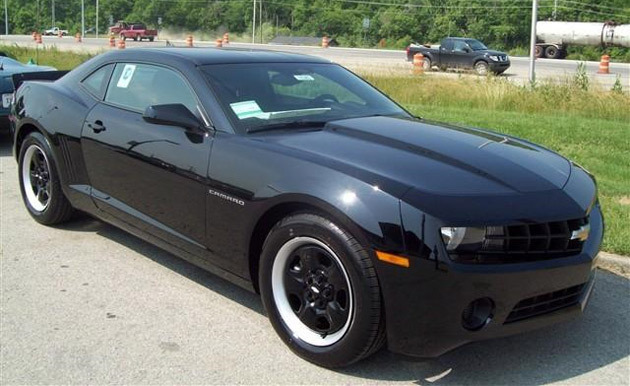 We can't name any names, but we do know that the lucky owner of Camaro number five million resides near Lexington, Kentucky. congrats Camaro, Chevy and the new GM!!! WOOHOO! Lets hope they can keep up the streak! so they have about 500 wow! Probably no options on it either, kinda sad but I guess 5 million isn't a big deal to GM or something?